Marks and Spencer: 20% Off Per Una Orders! Marks and Spencer are offering 20% off code for Per Una orders! 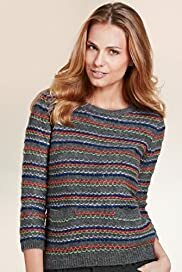 *20% off per una clothing applies online at marksandspencer.com only. Offer applies 2 November – 5 November 2012. Offer excludes lingerie, nightwear and accessories. Offer excludes M&S Outlets online. Cannot be used with any other offer that requires a code except for any applicable free delivery offer. Discount will be shown when you add qualifying item(s) to your shopping basket and enter promotion code PERUNA20 when prompted and place your order before 23:59:59 on 5 November 2012. Discount can only be redeemed once at time of purchase, is strictly non-transferable and cannot be sold or exchanged for cash. Please check delivery terms and conditions online. Eligible products must have the same delivery address for the promotion to apply. Subject to availability. M&S reserve the right to reject this offer with reasonable cause. There are creative available in the account in various sizes to help your promotions. 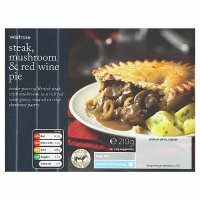 M&S Ireland: 20% Off Per Una Orders! Marks and Spencer Ireland are offering a 20% off code for Per Una orders! Save 20% on all per una products, sale items excluded. Offer commences 02/11/2012 and ends 05/11/2012 online at marksandspencer.ie. Discount will be shown at checkout. Please check relevant delivery terms & conditions online. [Eligible products must have the same delivery date and address for promotion to apply across all items.] Offer does not apply to delivery charges. Subject to availability. Any refunds will take into account the discount. Offer is valid in the Republic of Ireland only. There is creative available in the account in various sizes to help your promotions. Great news – Phones4u is pleased to confirm that publishers can now start promoting the brand new EE Network and its superfast 4G speeds. Tariffs start from £36 with data allowances ranging from 500MB all the way up to 8GB. All sales will receive standard contract commission rates. Please check the latest version of the Phones4u feed to get access to these great new deals. If you have any problems or further questions, please let us know. Please see below for the latest offers running at Wallis! A number of new banners to help promote these offers are now available! To find them in Darwin, hover over Links & Tools and click Banners & Links. Please note these offers are live from Wednesday 31st October! Latest News and Offers at John Lewis! Exciting news! Please see below for the latest news and offers running at John Lewis! Seasonal reductions with many items reduced to clear including brands such as Coats, Planet, Reiss, Dune and Phase Eight. 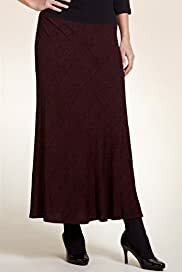 Great savings on womens footwear with many items reduced to clear, includes brands such as Dune, Pied A Terre, Bertie, Hobbs and L.K Bennett. - Samsung Rewards up to £250 when you buy selected Samsung televisions with another selected Samsung product. Topman: Free Worldwide Delivery For 48 Hours! Topman are celebrating Halloween with FREE WORLDWIDE DELIVERY for 48 hours! Forget the sweets this fright night, Topman have all the stylish treats you’ll need! Offer ends 31st October! Wallis: 24% Off EVERYTHING For 24 Hours - 30th Oct ONLY! Please see below for the latest offers at Wallis! -	24% off EVERYTHING for 24 hours at Wallis – Online exclusive Tuesday 30th October ONLY! Please see below for latest offers on site at Kitbag! - Free standard delivery on all UK orders over £50, Worldwide on all orders over £75. Offer ends midday Friday. - Kitbag:id £5 premier league shirt printing. Offer ends midday Friday. - 15% off training gear. Offer ends Friday. 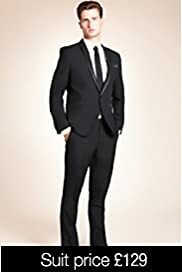 20% Off All Men's Suits at Marks and Spencer Ireland! Great news! 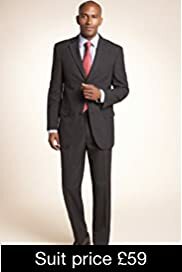 Marks and Spencer Ireland are offering 20% off all men’s suits! 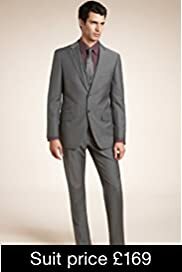 20% Off All Men's Suits at Marks and Spencer! Great news! 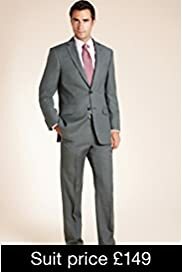 Marks and Spencer are offering 20% off all men’s suits! 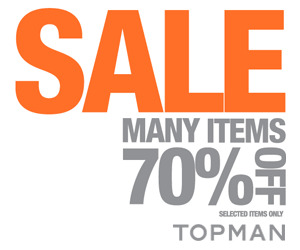 Topman: Up to 70% Off Sale! Great news! Topman are offering an up to 70% off sale! There are a number of banners in various sizes available in the account to help your promotions. Bonfire night is all about fun, fireworks and delicious food. So why not tuck into some of our tasty 2 for £5 sausages and burgers – perfect for eating outdoors! Get 3 for 2 on selected festive treats for the family, from Belgian chocolates and squared almonds to salted caramels and cherry liqueurs. Plus there’s buy one get one free on delicious biscuit selections! 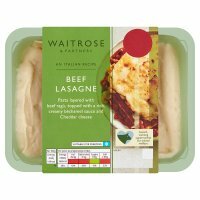 Waitrose.com is still offering £50 off on your first five grocery shops! To qualify, simply spend £75 or more per shop, place your first order for delivery by 3rd November 2012 and receive your fifth delivery by 15th December 2012. Don’t miss out on free delivery on all online grocery orders over £50! Here are the latest news and offers at John Lewis! A very strong offer from Samsung, Buy a Samsung Smart TV and qualify for a reward of up to £250 when you buy selected other Samsung product. This is our strongest offer running at the moment in vision, offer which is running till 24 December. FitBit wireless activity trackers. Nice bright colours. Beat the chill - electric blankets are proving popular! Create Downton in your own home. Add the drama! Its all about lighting! With autumn now upon us, it’s the perfect time to cosy up indoors and enjoy delicious, home-cooked hearty suppers. 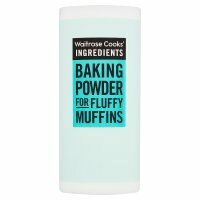 Save 1/3 on selected ingredients at Waitrose! From wicked trick or treating goodies to spooky costumes and bewitching decorations, get everything you need for Halloween. Plus there’s 2 for £3 on 2 litre party drinks like Sprite and Fanta! Wallis: Secret Sale For 2 Days Only! A number of new banners to help promote this offer are now available! To find them in Darwin, hover over Links & Tools and click Banners & Links. Just letting you know that the 20% off discounts we have been running on Running, Fitness and KB style have now come to an end and prices are back to normal. We have however launched a Warehouse Clearance promotion which offers discounts of up to 70% off replica, boots, training and equipment. We’re also giving away a free football with all orders over £75! M&S Ireland Now Launched on Affiliate Window! Affiliate Window are pleased to announce the launch of Marks & Spencer Ireland on to the network! Marks & Spencer is one of the UK’s leading retailers selling stylish, high quality, great value clothing and home products. A product feed will be made available shortly for the programme. American Express Affiliate Programme Launches With Affiliate Window! We are delighted to announce that the World’s largest card issuer, American Express, has now launched an affiliate programme with Affiliate Window. Recognised as a global top 20 brand, in terms of value and recognition, American Express are leaders in traveller’s cheques and prepaid products, travel, financial planning, business services, insurance and international banking. With American Express Membership Rewards® points you earn at least one point with virtually every full pound spent on purchases with your Card – across town and all around the world. • Our customer service team are available 24/7, via phone, text, email or mail and the first person answering your call doing their best to see it through until it is resolved. Why promote the American Express Affiliate Programme? Join the American Express affiliate programme and receive a minimum of £10 per approved application. Higher commission levels are available on premium Cards, up to £60, per approved application. There are also many opportunities for you to increase your earnings and to take advantage of exciting incentives! *Incentive site commissions differ slightly; further information can be found in the account profile. Please note that once we have received your application to join the American Express affiliate programme you will be sent a copy of the programmes T&C’s. In order to join you to the programme you will need to firstly confirm receipt of this email and that you have read and understood the terms and conditions. Once we have received the aforementioned particulars you will be accepted onto the programme and sent tracking links. We look forward to working with you and please do get in touch if you have any questions at all. Please see below for the Wallis offers update! - Free delivery on all orders over £30 with the code FASHIONFIX – Ends midnight Tuesday! John Lewis: Top Ten Toys For Christmas! John Lewis are excited to introduce their Top Ten Toys for Christmas! Predicted as one of our key gifts for the whole family, the Kurio is THE android tablet designed for children and comes pre-loaded with some of the web's most popular apps. It can hold up to 8 individual profiles, each of which can be controlled by parents. Other features include time control, video, music, computer, front and back, camera and four separate internet settings. Available in pink and blue, the Mini Micro sit and scoot T-Bar Scooter is the perfect option for children who are too young for a Micro Scooter but are desperate to have a go. This adaptable version has a sturdy clip on seat and is suitable for ages 1 – 5 so even very small children can enjoy a ride. Designed to encourage imaginative play, this exclusive and beautiful dolls house is part of the wooden toy collection at John Lewis. The house opens from either side, has two central staircases and the roof lifts up making it easy to share play with friends and siblings. Also available are delightfully detailed wooden furniture roomsets including bathroom, living room, bedroom and kitchen ensuring this classic toy will stimulate and amuse for hours. For Christmas gift inspiration visit your local John Lewis or go online at www.johnlewis.com. For more information including stockist details, please visit www.johnlewis.com. John Lewis: Half Price on Breathe Pillows! We have an amazing offer at John Lewis this month! You can now get half price on breathe pillows if you buy any breathe duvet by 15th – 30th October! More offers available on site! Topman have just launched their half price sale on site! Check out the Topman sale altogether below but hurry - everything is selling out fast! Please rememeber to replace !!!id!!! with your affiliate id. John Lewis: New Menswear Creative! 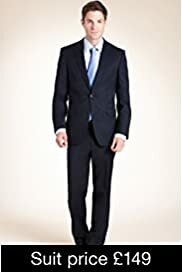 Please see below for our lovely new Menswear creative that is now available in the account in a number of sizes. Please see below for great offers this week! Ready, get set, bake! 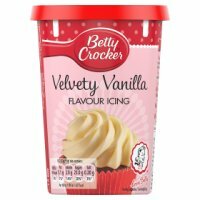 National Baking Week 15-21 October. With National Baking week just days away, it’s the perfect time to join in the celebrations and create your own tasty home-made treats! 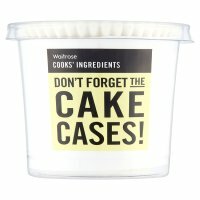 Save 25% on fantastic seasonal cake packs, special ingredients and bakeware. Save £50 on your first five online grocery shops! Customers will simply need to enter the relevant promotional code at check out and make their first order between 19 September 2012 and 3 November 2012 and customers must receive their fifth delivery by 15 December 2012. You will find supporting creative in the Affiliate Window interface and in addition to this exciting money-off promotion prices on branded grocery products are now identical to Tesco's (excluding promotions). 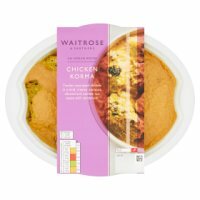 Last chance to SAVE 1/3 on all chilled ready meals! Ends this week!